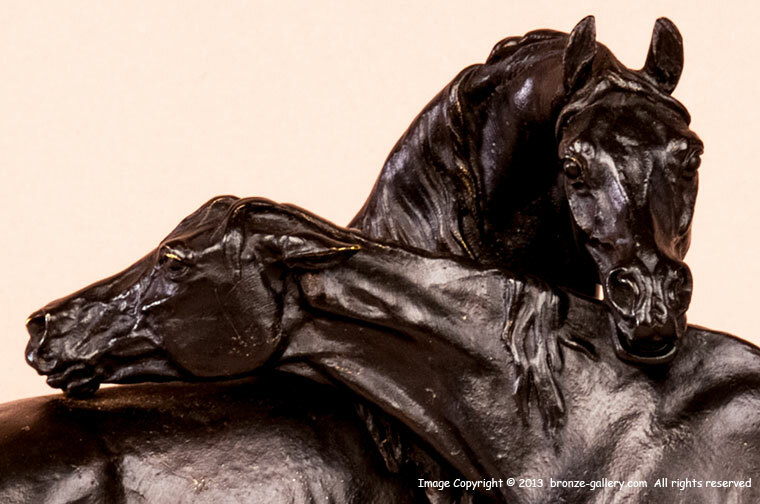 The Accolade is probably one of the most famous horse bronzes of all time. Mene’s portrait of two Arabian horses, Tachiani the Stallion and Nedjibe the Mare, shows their individual characteristics superbly. 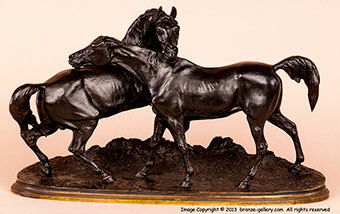 The spirited Stallion with his head over the neck of the high strung Mare is a wonderful composition that has no rival. 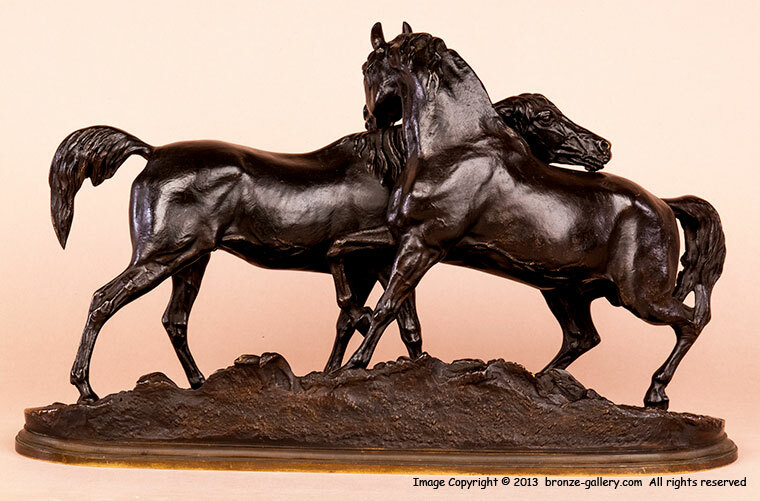 The tension that Mene portrays between the mare and the stallion in this superb bronze is uncanny. Mene first exhibited a model of "Tachiani et Nedjibe, Arab horses" in the Paris Salon of 1853 and it won a medal in 1855 at the Exposition Universelle. The sculpture was renamed “L’Accolade” and it is considered to be one of his most famous works. The Accolade immediately met with vast public approval and success and was eventually cast in three sizes, this being the smaller size. This bronze of the Accolade is a fine mid 19th century bronze cast by Mene in his own foundry with a rich dark brown patina, the bronze shows superb details and finish, it is one of the earliest editions of this popular model done before the casting molds became worn. A superb example of Mene’s best known sculpture, this wonderful bronze would enhance any collection.